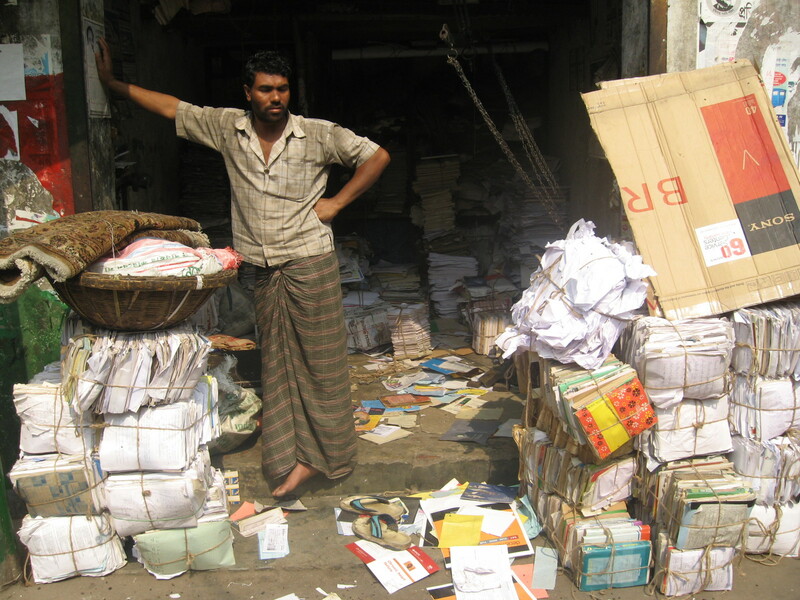 Discovered hundreds of tiny industries happening in the crowded dusty streets of old dhaka. The masses of recycled paper and tantalising bangla print is a starting point for me. Steven Follen and I arrived in Bangladesh a few days ago on a residency organised by HAT (‘Here and There’). The overload on the senses is vast and it has taken til today to get my head around even attempting to record anything. Will hopefully improve as I go along? Am not sure how to write for a general audience; it feels strange. I will try and post a picture of two a day with some explanation and that may at least be a way of focusing.